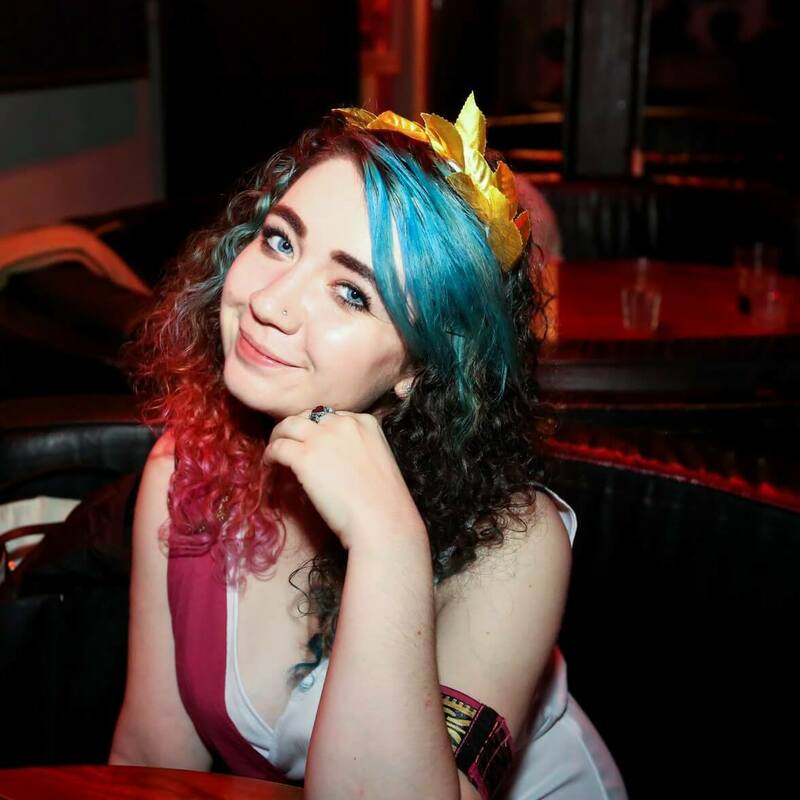 I feel like a bit of a blogging failure so far in 2016, but I’ve been so busy with essays, trying to figure out what I’m doing for my dissertation and module choices for next year, as well as uploading to both my vlog channel and music channel on YouTube… but I’m eager to get back in the game and keep reading lots of books for inspiration and to review! That’s where the Busy B Book Journal comes in. 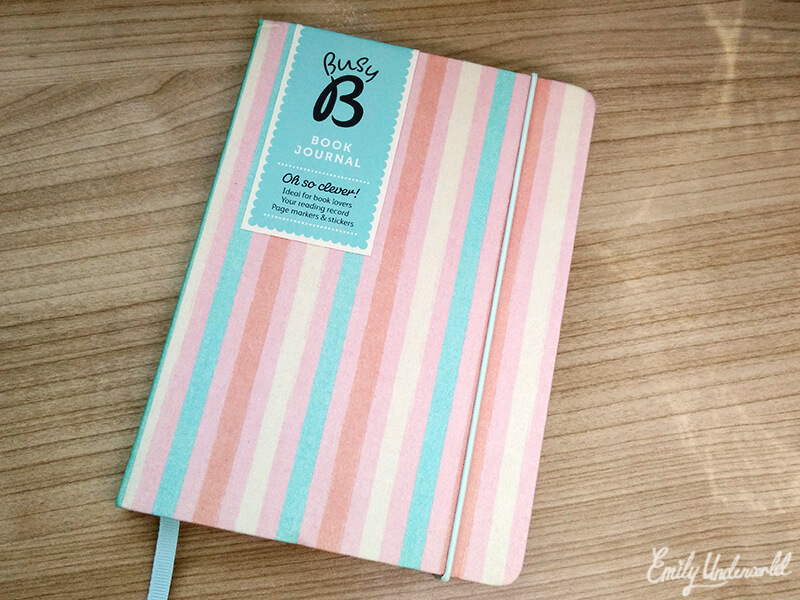 I’m a bit of a Busy B fangirl; I bought the Busy B academic planner for uni and reviewed it on the blog a while back, and I’m always checking out their website for new arrivals (the new dog-themed collection is adorable, just saying). The book journal instantly caught my eye, as I’m such a scatterbrain when it comes to remembering what books I’ve read or want to read. They were kind enough to send me one to review, and I’ve been loving it! 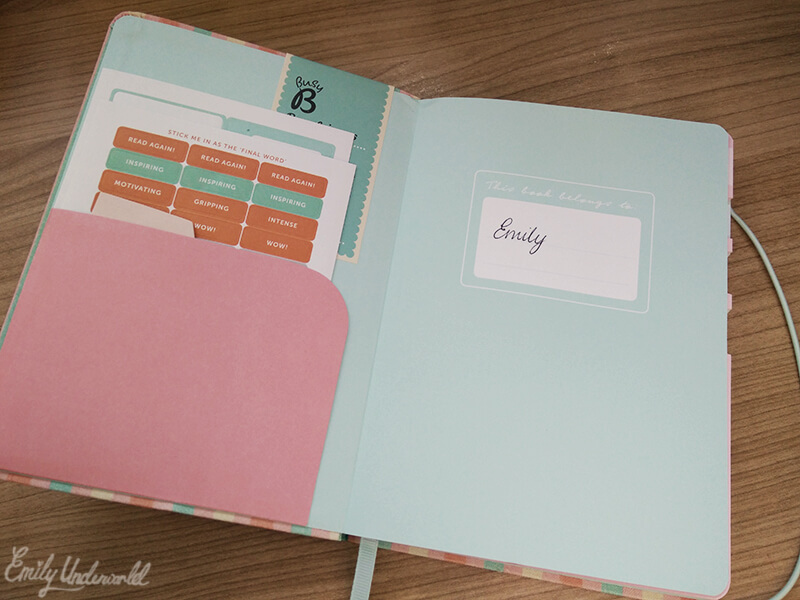 There’s just something about how pretty and well-made Busy B stationery is. 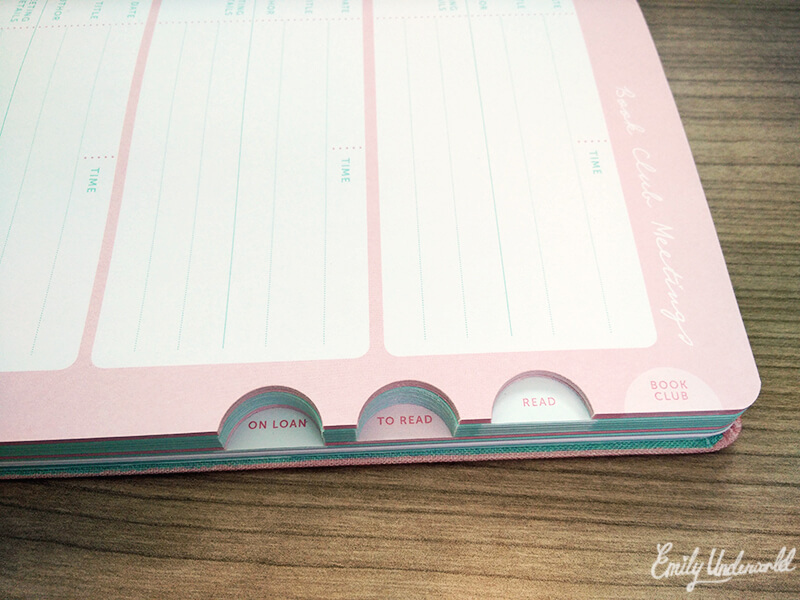 I love the cute pastel colour scheme and the little folder section at the front. 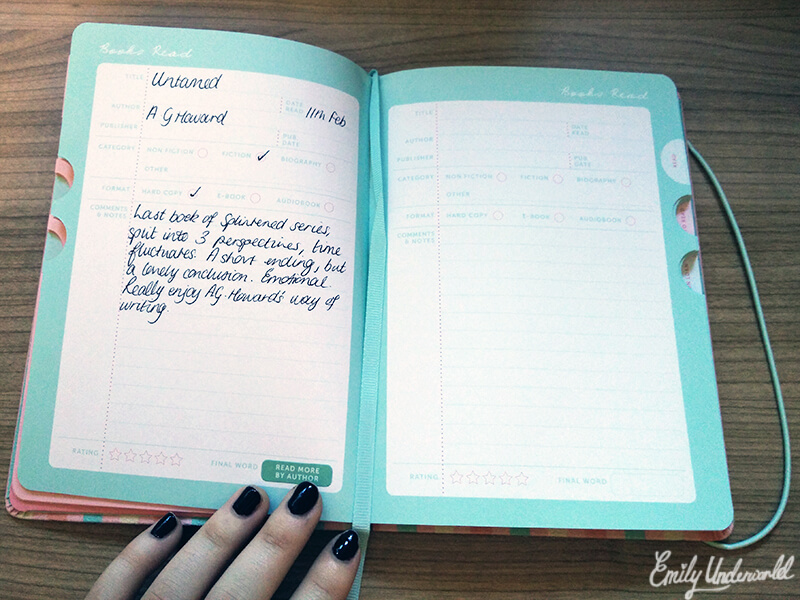 My academic diary has the same feature, and I find it so useful. I think I’ll put a spare bookmark or two in there, ready for when I start new books. Busy B’s catchphrase ‘oh so clever’ is definitely applicable to their products! Apologies for the poor quality photo above, I had to take it on my phone, but I hope you can make out the different categories in the book review section. I love the little star rating and ‘final word’ parts, and how there’s room to write some comments. I quickly filled out a review of Untamed by A.G Howard, the last book of the Splintered series, to show you how it works. I’m excited to fill out the whole book, but I know it’ll take a while! The side of the journal has helpful tabs to get you to the right section, including: book club, read, to read and on loan. I’m not part of a book club myself, so that part isn’t applicable to me, but I’ll definitely make use of the other sections. I typically only borrow academic books from my university library, but the on loan section will be useful to log them and perhaps remind me to borrow some fiction instead of buying my own copies all the time! 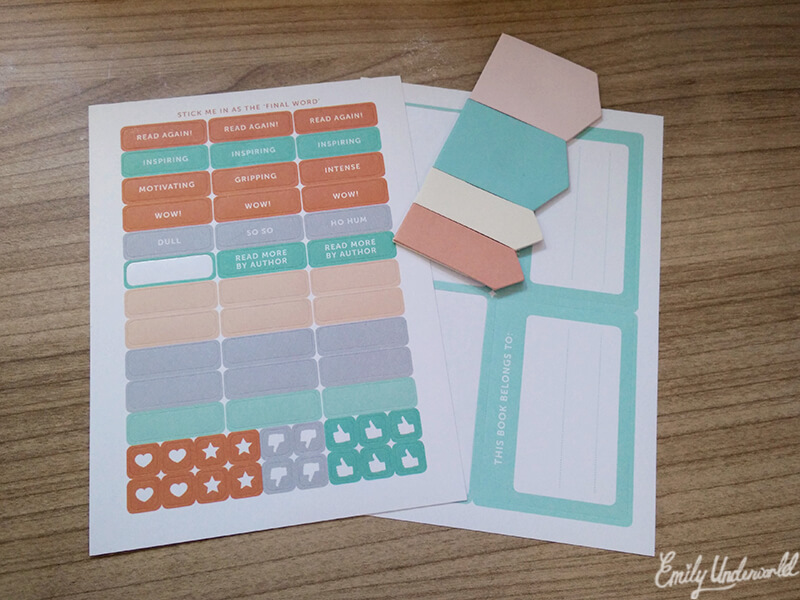 I get a bit over-excited when it comes to stickers, but look how cute these pastel ones are! They make using the book journal even more fun, and the page markers have proven to be useful already. 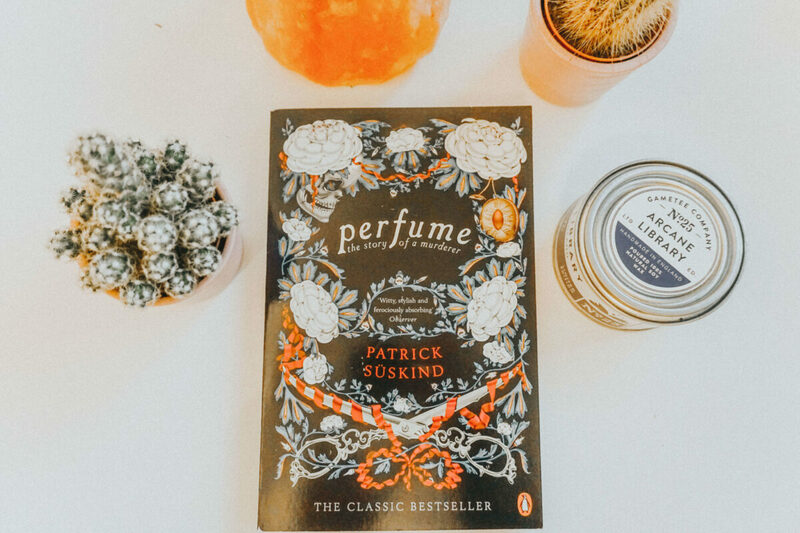 Honestly the Busy B Book Journal couldn’t be more perfect for someone like me, and it’d make a great gift for a fellow book-lover, book blogger or literature student. 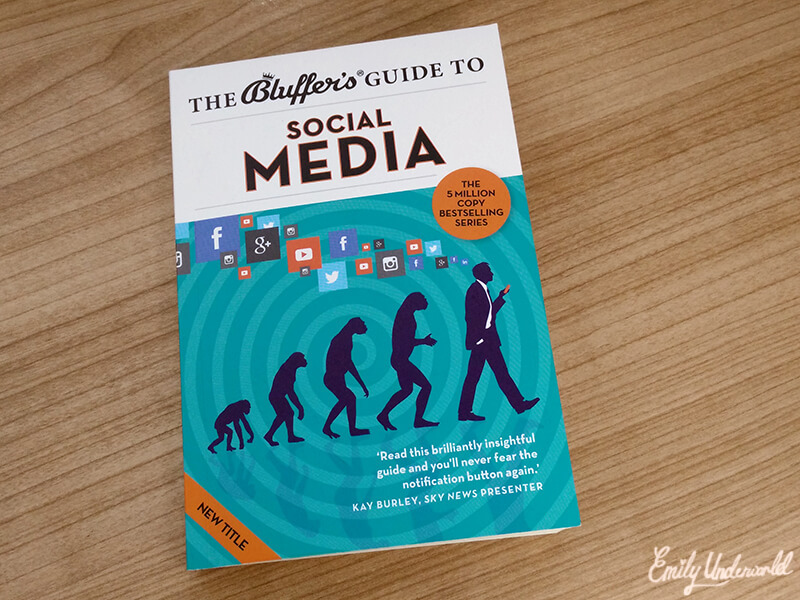 *I was sent the book journal from Busy B to review. Previous Previous post: Free Writing. Next Next post: Laser Hair Removal?